Teaching yourself to paint is fun! 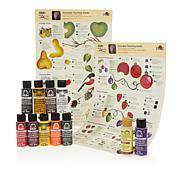 This set helps you learn Donna's one stroke method so you can blend, shade and highlight perfectly with paint. 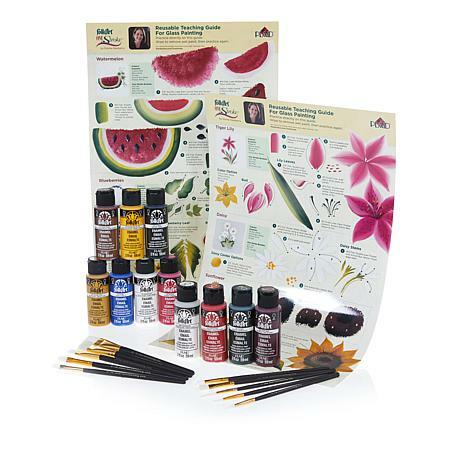 It's a stress-free, easy way to learn how to paint! 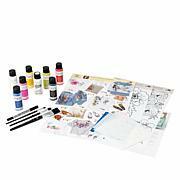 Splendid Painting Set for Glass! So much product for so little money! All the colors needed for projects for every season and a full selection of specialty brushes that stroke the paint on evenly on glass. Great instructions too! Love it! 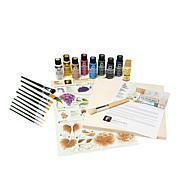 I am a One Stroke Certified Instructor and I thought I would give this kit a try. The paints were great. The brushes are awful! I cant imagine why these poor quality brushes would be sold to consumers. 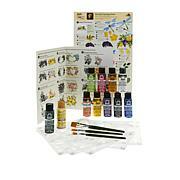 I would not recommend this kit to anyone because of the poor quality of the brushes.